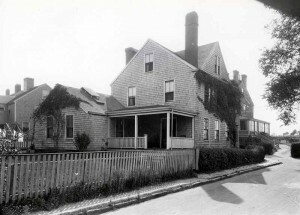 When Isaac Coffin recorded the first list of streets in Nantucket, in 1799, he noted that Gardner Street extended north to Liberty Street, near the house of widow Eunice Gardner (1735-1810). 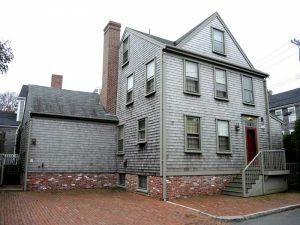 Her husband, Josiah Gardner (1743-1781) built this house some time before he died at sea in 1781. Unfortunately there is no record of what vessel Gardner or whether he was a whaling captain. 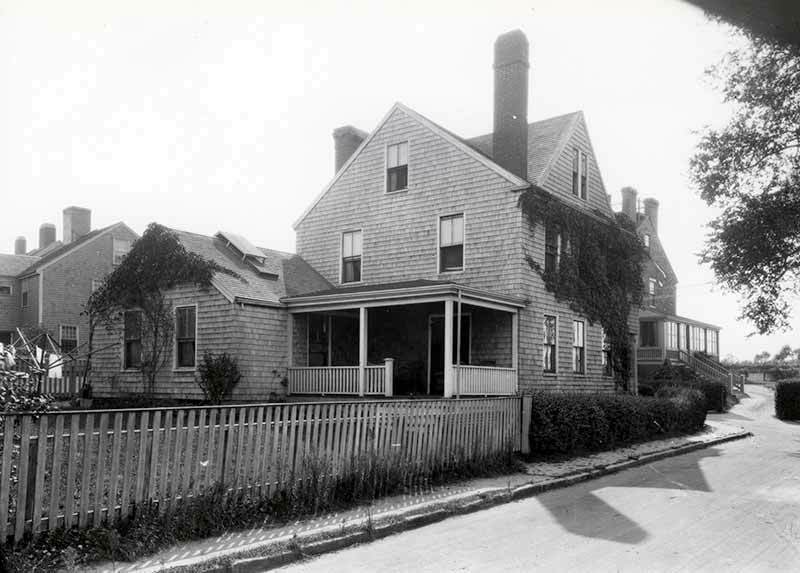 When his father, Andrew, deeded him the land in 1777, it was described as “where Josiah Gardner’s house now standeth.” Gardner heirs owned the dwelling until 1814, when it was sold to Susannah C. Barnard, a trader and the widow of Charles Barnard. Susannah lived here forty-two years before selling to Charles C. Myrick, Jr. in 1856 who held it ten years. The house was numbered 19 Gardner Street in the late 20th century, and is so listed by Clay Lancaster in The Architecture of Historic Nantucket, published in 1972.